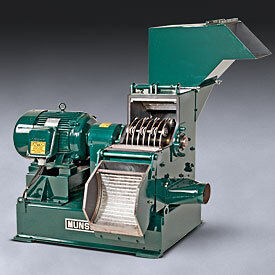 A hammermill is a machine used to shred or crush materials such as woody biomass into smaller pieces. 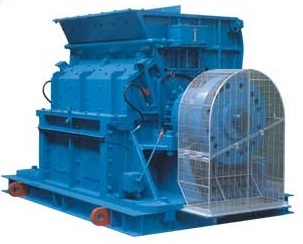 The basic design involves a rotating shaft to which free-swinging hammers rotate at a high speed. 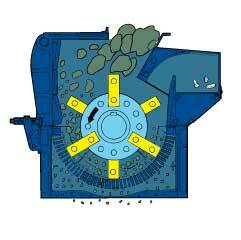 The drum holds the material that needs to be processed until it can be crushed by the mill. 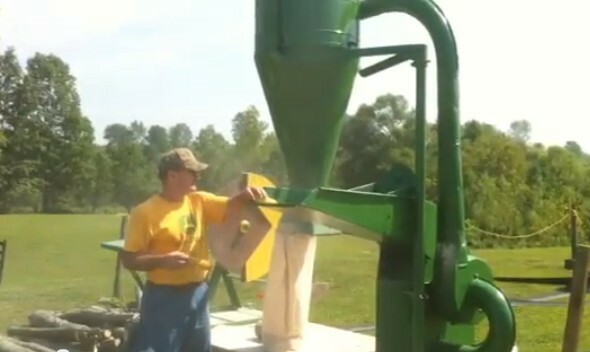 A hopper feeds the source material into the drum. The hammers gradually break up the material until it is small enough to pass through a screen with openings corresponding to the desired size. 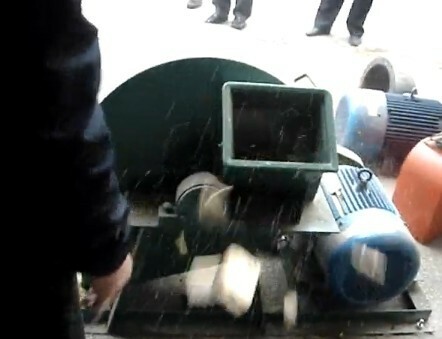 The biggest disadvantage of using a hammermill is, having to replace its lining because of the constant wear of the rotating hammers. 1. Petersen, Christian, and Susan Barwick. WiseGeek. Conjecture, n.d. Web. 21 Dec. 2012. .